Nothing like a little father and daughter bonding time! Hold on a second—Is this before or after Thanos butchered most of his adoptive daughter Gamora’s real family? What does it matter...look how adorable they are! Bonus points: These two cosplayers are actually father and daughter. 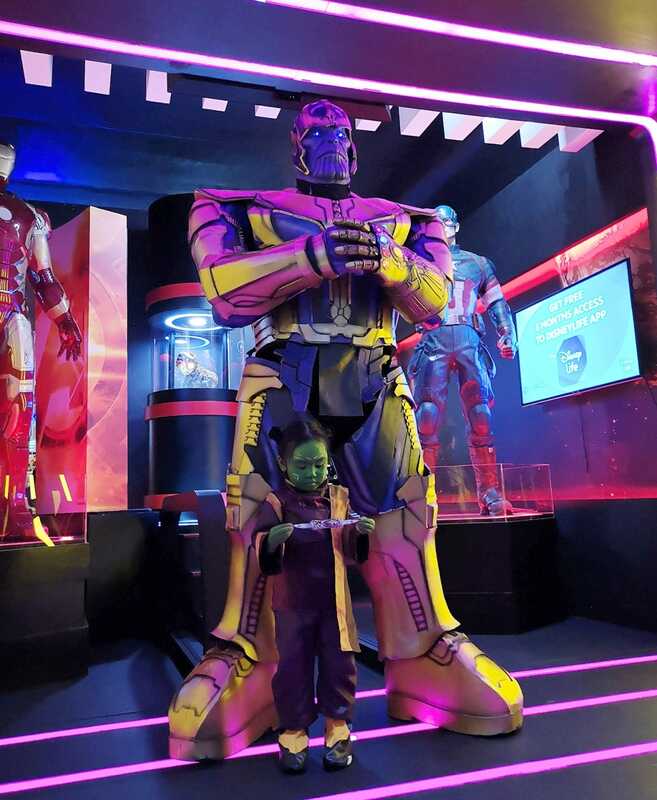 Philippines-based cosplayer Wreidyl Denorte (who goes by the cosplayer name Kino Kaoru) recently shared this family cosplay of himself and his three-year-old daughter Shay as Thanos and Baby Gamora. You can check out the awesome video below, which has been making the rounds on social media. He’s been dressing in this custom-made Thanos costume for the good part of a year, after wanting to build something that challenged his skills as a veteran cosplayer. 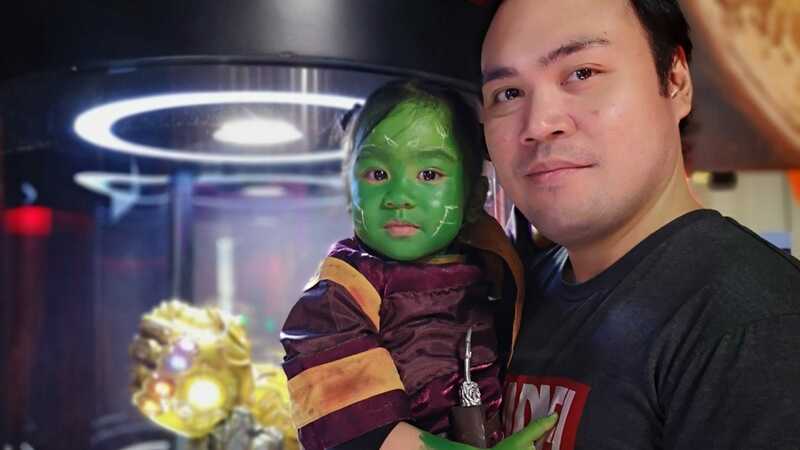 Back in June, he and his wife Monette Denorte decided to bring in their daughter as a companion after seeing Avengers: Infinity War. Monette Denorte and Shay are also major cosplayers. 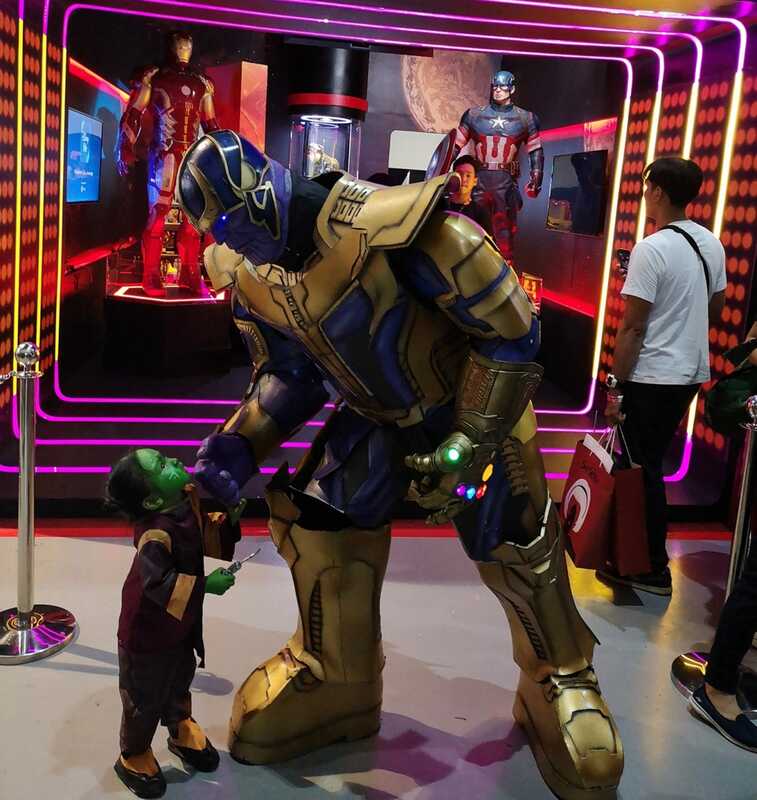 Denorte, who’s been cosplaying for the good part of a decade, said it took him three weeks to make the Thanos costume, which is based on the Guardians of the Galaxy post-credits character model. He said the cameo was so brief he had to use the Hot Toys version as a reference. The face is 3D-printed plastic with LED lights for the eyes, and it’s placed on a dummy head that he wears on top of his own (Denorte peeks out through the neck). He also walks on custom 9-inch stilts to achieve Thanos’ unusual height. Right now, Denorte is working on building a Venom costume using foam and latex instead of fabric, saying he wants to “make him look [as] organic as possible.” You can check out his designs for that cosplay here, and he said he plans on having it finished before the Venom premiere this October. 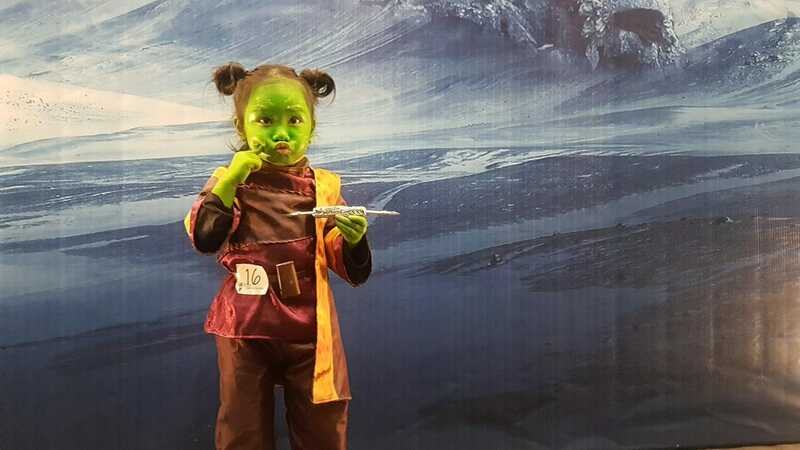 A super cute image of Shay as Baby Gamora. 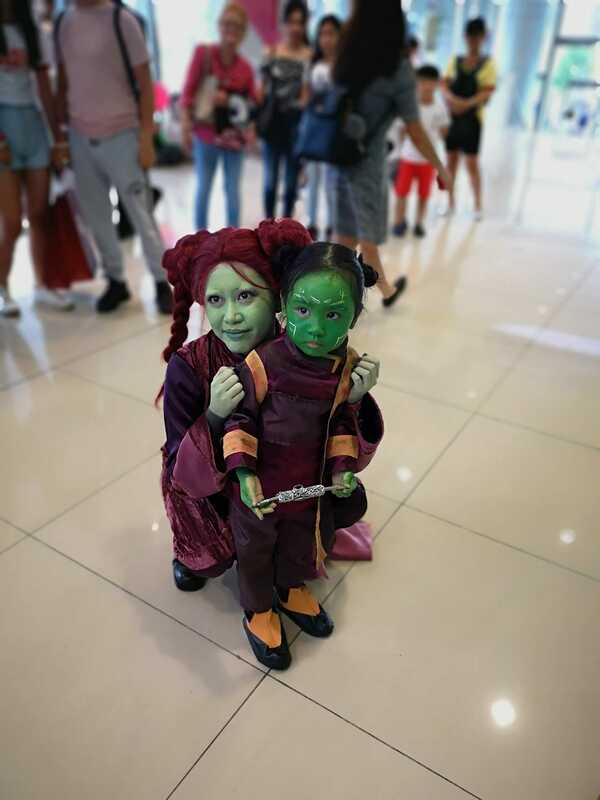 Baby Gamora meets a kindred spirit. Wreidyl Denorte out of costume with his daughter, Shay. 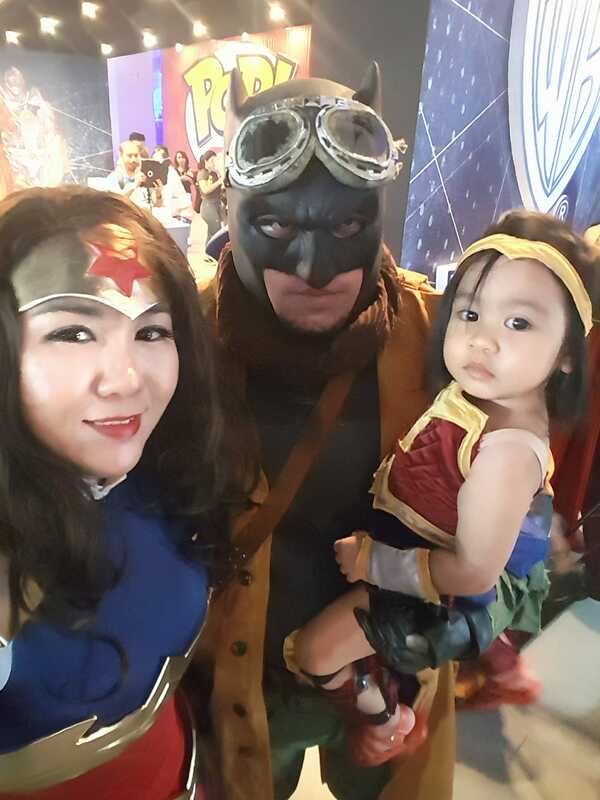 Wreidyl Denorte with his wife Monette and daughter Shay as a Justice League family. One more time for this cool family cosplay!